Here’s the first part of a wonderful concert / dance created by Gordon Au’s Grand Street Stompers at Grand Central Station on May 5, 2016. The Stompers are Gordon (of course), trumpet, compositions / arrangements, vocal; Matt Koza, clarinet / soprano; Matt Musselman, trombone; Nick Russo, banjo / guitar; Rob Adkins, string bass. And for the deep explication that Gordon only hints at, here’s his wonderfully elliptical blog, THAT OF LOWLY PWUTH. Yes, you did read that correctly. And to think — before this, I’d thought of Grand Central Station simply as the eastern terminus of the Forty-Second subway shuttle, the “S” — not as a secret mecca for lyrical hot jazz. That’s New York City for you: one surprise tumbling in on another. On May 5, 2016, Gordon Au and the Grand Street Stompers played a free concert / swing dance session at the dining concourse of Grand Central Station in New York City. The Stompers are Gordon, trumpet, vocal, arrangements / compositions; Matt Musselman, trombone; Matt Koza, clarinet / soprano; Nick Russo, banjo / guitar; Rob Adkins, string bass. That story always amused me — although O’Connor also cited it as an example of Joyce’s peculiar associative mania — but it reverberated loudly in me when I had this rarest of opportunities to see and hear the Grand Street Stompers at Grand Central Station. “Where are we?” “Grand.” “Who’s playing?” “Grand,” and off into the darkness, although swinging mightily. The Grand Street Stompers are a witty, light-hearted, versatile band. 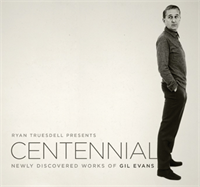 The solos illuminate the room; the ensemble passages are charmed and charming; Gordon’s originals have the lilting energy of songs that you’re sure you’ve heard already. At times, the GSS sounds like an ideal Louis Armstrong band — straddling 1925 and 1965 — in its sweet ebullience. Gordon’s imagination is large and occasionally whimsical, so the band plays Fifties pop, Twenties hot tunes, Disney classics, Broadway melodies, and originals — all of them fresh yet instantly classic. The Stompers are a busy band — you can see and hear why — and they appear everywhere, but in New York, in May 2016, this appearance at a swing dance session in Bryant Park might truly be special. Don’t miss a chance to hear them; as I write this, they will be lighting up the room at Radegast this very night. And there’s a second eight performances from the Grand night of May 5, 2016, to come. I have just finished reading the galleys of Ricky Riccardi’s WHAT A WONDERFUL WORLD: THE MAGIC OF LOUIS ARMSTRONG’S LATER YEARS (Pantheon). I am a very severe critic of biographies — where odd things happen. Sometimes the writer gets so caught up in him / herself that the book becomes self-referential, an unintentional autobiography, the writer gazing lovingly in the mirror. Some biographies end up rancorously, with the writer deciding that after all the Great Man or Woman was really rotten. And some biographies are unoriginal compilations of what everyone else has written. I was ready to love Ricky’s book because I love both the subject and am very fond of the author, but I was not prepared for how superb it is. It is full of original research, new first-hand tales and evidence on every page. It is beautifully written, casual without being flippant. It is splendidly annotated but never academic. It is full of light and joy without being idolatrously adoring. As I write this, I am surrounded by biographies of Louise Bogan and of Henry “Red” Allen, of Frank O’Connor and Pee Wee Russell. Riccardi has written a book worthy of the best ones on my shelves or on yours. It won’t be officially published until late June, but that shouldn’t stop anyone from ordering it. It made me laugh a good deal; it made me think; it made me cry. And the energy and soul of Louis shines through every page. WHAT WOULD LOUIS DO? ALL MONEY GOES TO THE MUSICIANS: CLICK HERE! The Beloved and I just returned from a week in Ireland. Our itinerary included University College Cork and Dalkey (a suburb of Dublin where Harriet O’Donovan Sheehy, Maeve Binchy, Bono, Van Morrison, and other notables live). And the sun shone for all but one day. When I first visited Ireland, continuing my work on the short-story writer Frank O’Connor, I didn’t expect to find jazz. In fact, in those pre-iPod days, I brought pounds of CDs, trying to prevent the deprivation that I was sure would befall me. But jazz kept on popping up to surprise me. I heard CDs by guitarists Louis Stewart and Hugh Buckley, and was invited to jam sessions featuring Toddy’s Hot Stompers and other congenial assemblages. So I shouldn’t have been surprised this time when I stumbled onto my favorite art form. But I was. People who love this music are forever lamenting dwindling audiences, the closing of clubs, the names in the obituary pages . . . . with very good reason. And the sweet ubiquity of jazz in my childhood — Louis and Duke on television, Jimmy McPartland playing a free concert in a Long Island park, Bobby Hackett on the radio — is surely nostalgia rather than current reality. These days, I can expect to hear Ben Webster as dinner music only if I’ve put his CDs on while the chicken is roasting. And yet . . . . there was Denise Connolly’s fascinating Cork bookshop. It was a sweet, enlightened disorder of books of all kinds, opera records, and more. But what caught my attention was the music coming out of Ms. Connolly’s mini stereo system: Django Reinhardt and Stephane Grappelly playing “Limehouse Blues,” then “I’ve Had My Moments,” and more — vintage 1937. When I told her how delighted I was by her soundtrack, she smiled and said that, yes, Django, Lionel Hampton, and Thelonious Monk were her favorites. 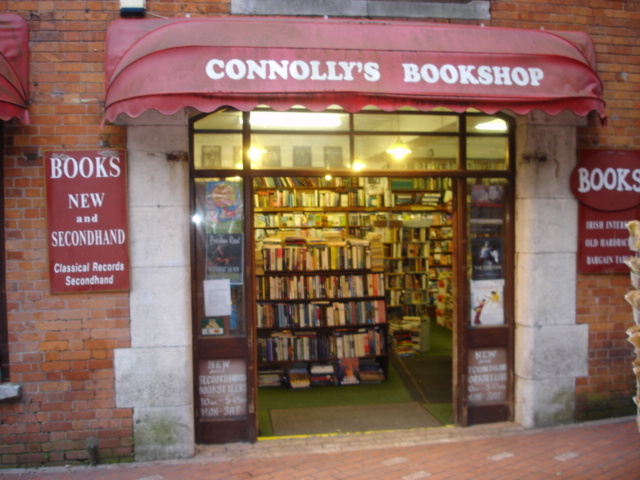 Visit Connolly’s Bookshop, not only for the jazz, but the books! 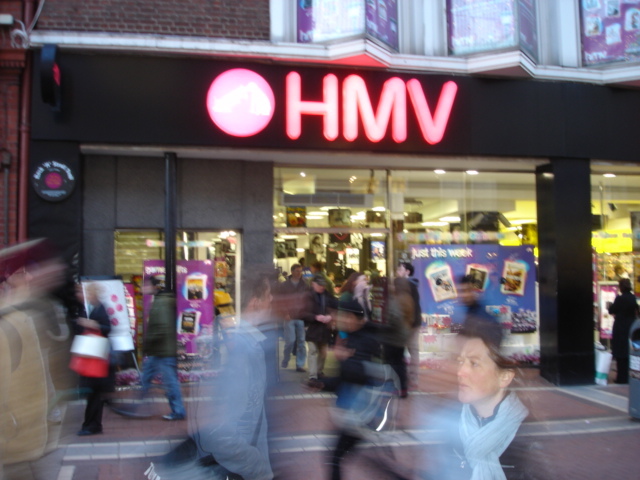 And the HMV store on Grafton Street has sections devoted not only to Louis and Duke, but also to Bix Beiderbecke and Humphrey Lyttelton. It did my heart good. Just when I thought jazz had gone into hiding, it poked its head out of the shadows and gave me a big wink. As much as I love jazz, I love the stories that attach themselves to the players, the records, the places the music inhabits. Earlier today, on WNYC-FM, Leonard Lopate spoke with Kent Jones and Philip Lopate about the flim critic and painter Manny Farber, who celebrated subversive “termite art.” I never met Manny Farber, so my connection to him, perhaps tenuous, exemplifies two or perhaps three degrees of New York separation. It was, however, my privilege to know the actress and entrancing personality Julie Pratt Shattuck, born Julie Follansbee. Julie died on August 16 of this year. She was 88. I was introduced to her by her dear friend Harriet O’Donovan Sheehy (widow of the great Irish writer Frank O’Connor — and my benefactor as well). Julie wasn’t tall, but she seemed regally so — without being stuffy. Her diction was elegant, but she delighted in delivering tiny hilarious shocks. I was standing next to her at a downtown art show when, for whatever reason, she turned to me and recited the limerick about the young man from Madras. I still haven’t recovered. Her blue eyes would flash and she would laugh uproariously. She was one of the most vividly alive people I have ever met; she loved a party, and until her final illness, the word “Whee!” punctuated her talk. Lucky me! — to have been invited to 242 East 68th Street for tea, the occasional tiny glass of bourbon, dinner — and wonderful stories. Julie knew that I was immersed in jazz. I gave a party at her brownstone where the great guitarist Craig Ventresco played and awed everyone. I also remember a wonderful evening when a trio of Julie, myself, and her friend Roseli Olivera went to the Cajun to hear Kevin Dorn’s band play, where Julie sat, awash in the music, her eyes closed, her head swaying, her face a portrait of bliss. Once, she mentioned that she had a small collection of 78 rpm records. Would I like them? Yes, I said, I would. I was thrilled: Julie had always been generous to me, and she saw the joy on my face of even having these precious artifacts to leaf through. The records had been well-played, which I found touching, and they, taken together, suggested someone’s deep love and understanding of jazz in its many manifestations. “Did you collect jazz records?” I asked Julie. “Oh, no, these weren’t mine,” she said. “Do you know of Manny Farber?” she continued, and I was happy to say that I did. Sensing that there was some bit of narrative hidden under that calm surface, I just looked at her. At that time, Manny Farber was still alive, 90 or 91years old. Julie and I discussed, whimsically, whether I should write him a note and say, “By the way, would you like your records back? Julie has been keeping them for you,” an idea that never took shape. For those who savor coincidence, Manny Farber died on August 17, 2008, one day after Julie did. I miss her. I’m sorry I didn’t visit her more often. And I’m sorry that when I looked for a picture of her on Google, none came up — although the many DVDs of the films in which she appears did. I say “Whee!” in her honor, and thank her for this story and this gift, one of so many. P.S. And my hero Eddie Condon signed people’s autograph books with “Whee!” Great minds think alike, exuberantly so.